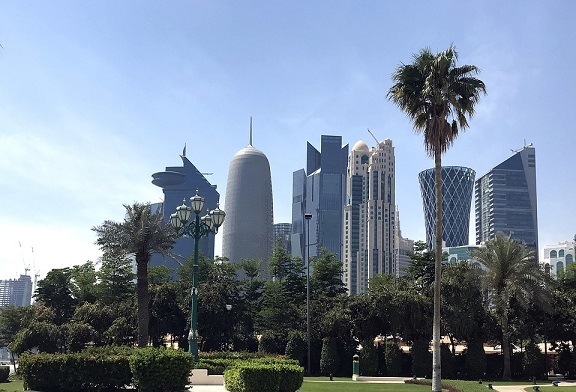 Qatar yesterday announced the launch the world’s largest Shariah-compliant ‘Energy Bank’ with a targeted capital of $10bn (QR36.41bn) to finance local as well as overseas energy projects. This was announced at a press conference held on the sidelines of the 5th edition of the Doha Islamic Finance Conference, by Khaled Al Suwaidi, the Chairman of the Founding Committee of the anticipated biggest energy sector dedicated lender which is expected to begin operations from the fourth quarter of this year. During a press meet Dr Mohammed Al Marri, Chairman of the Media Committee of Energy Bank, said that the bank will raise $10bn capital. The meeting was also attended by Dr Jaber Al Marri, Chairman of the Advisory Board and Board Member Vice-Chairman of the Advisory Board, Faisal M Al Suwaidi, Member of the Advisory Board, Abdul Aziz Hamad Al Dulaimi, Member of the Advisory Board, and Hamed Al Bader, Board Member. The officials elaborated that this economic initiative comes in light of the incredible growth projected for Qatar’s energy sector, which has an extensive expansion plan to increase annual capacity to 110 million tonnes per annum by 2024. The Energy Bank will be licensed by Qatar Financial Centre (QFC) Authority to become the biggest bank of its kind globally, with representative offices in the MENA region and all over the world. Currently under formation, the bank is set to be an international investment entity that specializes in oil and gas, petrochemicals and renewable energy, offering first-class services to the energy industries, in compliance with the Shariah.